The destruction of Palestine by Zionism is not the biggest genocide in world history. The African transatlantic slave trade holocaust killed more than five million people. The Native American holocaust killed tens of millions. And the biggest holocaust that continues today — the post-9/11 war on Islam — has killed 32 million people according to the Jewish Australian researcher Gideon Polya, an expert in avoidable mortality and comparative genocides and holocausts. But the genocide of Palestine (and yes, it is a genocide according to the legal definition of the term) is uniquely important. No other genocide has been denied and lied about so actively and pervasively. No other genocide has continued so long with no end in sight. No other genocide targets a Holy Land that is sacred to more than four billion people — the majority of Earth’s population. And no other genocide continues to push the world ever-closer to World War III that could destroy civilization and do unprecedented damage to the Earth and its creatures. For these and other reasons, the Palestinian genocide assumes unparalleled world-historical significance. When the Balfour Declaration was issued on November 2, 1917, British forces were smashing their way into Palestine, which was still a province of the Ottoman Sultanate.. By December 30, 1917, less than two months after Balfour, the British had established undisputed control of Jerusalem and the rest of the Holy Land. 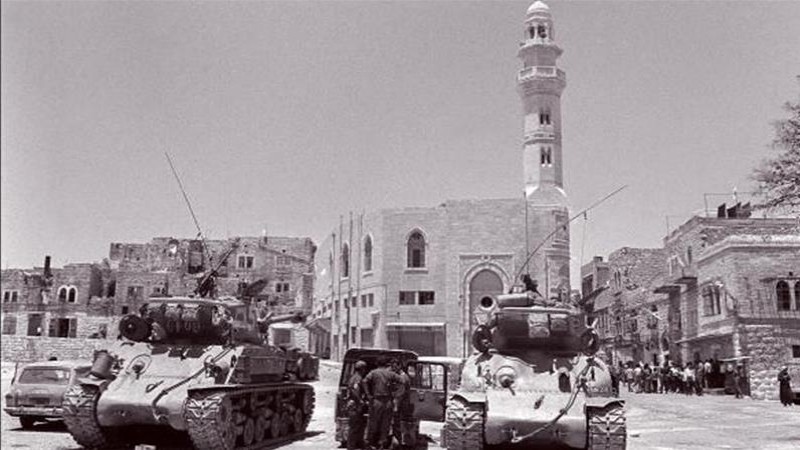 They proceeded to facilitate the invasion of Palestine by millions of Zionist Jews, who would eventually murder, terrorize, and expel the majority of the Palestinian population, effectively annihilating Palestinian society and establishing dictatorial Jewish-Zionist control over a land that is sacred to today’s 2.2 billion Christians, 1.8 billion Muslims, and fewer than 15 million Jews. How could Lord Rothschild, the self-appointed representative of the Jewish people, convince the British government to effectively hand over future control of a Holy Land conquered with so much expense of British blood and treasure? Couldn’t Balfour and the British Foreign Office foresee the hornets’ nest of troubles the Declaration would bring? How could Rothschild have convinced the hard-nosed realists running the British government to hand them Palestine on a silver platter? Translation: Rothschild’s money-tentacles had a tight grasp on the Jewish elites of America (and Russia). In return for the British promise to give Palestine to the Jews, Rothschild and his circle of European central bankers had already dragged the USA into the war on the side of the British (the quid-pro-quo had been agreed on well before its public unveiling via the Balfour Declaration). Following Balfour, American troops began arriving in Europe in large numbers. Rothschild’s secret promise to the British — “give us Palestine, and we will make sure you win this seemingly unwinnable war” — was kept. But the British promise to the Palestinians that “nothing would be done to prejudice their civil and religious rights” was inevitably forgotten. The Guardian article suggests that it is “antisemitic” to face reality, “This approach, as modern researchers have observed, wildly exaggerated Jewish wealth, power and influence — a familiar antisemitic habit.” But why must honesty and accuracy be misconstrued as bigotry? Nobody disputes the fact that in 1917, big banking power in the Western world was dominated by an ethnic Jewish mafia headed by the Rothschild family. And nobody seriously disputes the fact that the Jewish elite’s influence on American media and politics was (and remains) wildly disproportionate to Jews’ presence in the population. 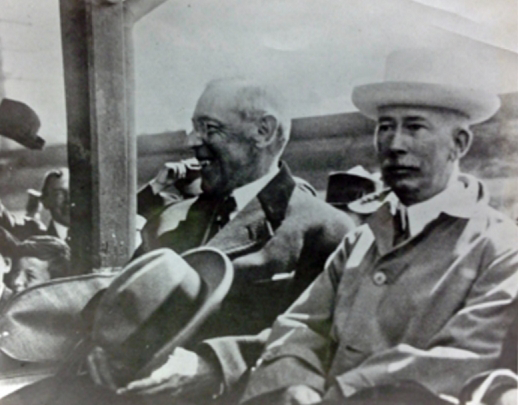 US President Woodrow Wilson, left, with his “alter ego” Colonel Edward Mandell House, the Rothschild agent who was secretly directing US foreign policy from behind the scenes, chiefly the US entry into WWI on the side of the British-Zionist cabal, in direct contradiction to the popular will to stay out of the war (House never served in the military and the title “Colonel” was merely honorary). Zionism’s stranglehold on the White House was matched by its power over public opinion. Dominating America’s most influential newspapers including the New York Times and Washington Post, the Rothschild network forged the “Zimmerman telegram,” a supposed message from Germany to Mexico urging the Mexicans to invade the US. Though almost as absurd as the official story of 9/11, the Zimmerman telegram of January 1917 terrorized and enraged Americans, paving the road to the official US declaration of war a few months later. So despite the American people’s overwhelming antiwar sentiment, and despite President Wilson’s avid desire and campaign promise to stay out of the war, Rothchild’s American network strong-armed the US into sacrificing more than 50,000 lives for one overriding reason: to push forward the Zionist project. And these people aren’t powerful? The Balfour Declaration is emblematic of multi-leveled lies and deceptions. First, the Declaration per se was simply a vague public acknowledgment of a secret quid pro quo that had been arrived at considerably earlier. Second, its basic provisions were lies. The Zionists never had any interest in a mere national home in Palestine. From the beginning they were dedicated to the long-term project of conquering all of Palestine and genocidally expelling the indigenous population to create a “Jewish State.” Third, they never had the slightest interest in protecting the rights of Palestinians. On the contrary, the entire Zionist project necessitated their slow-motion annihilation. Muslims and other justice-seekers must expose the lies of the Balfour Declaration and of Zionism in general. 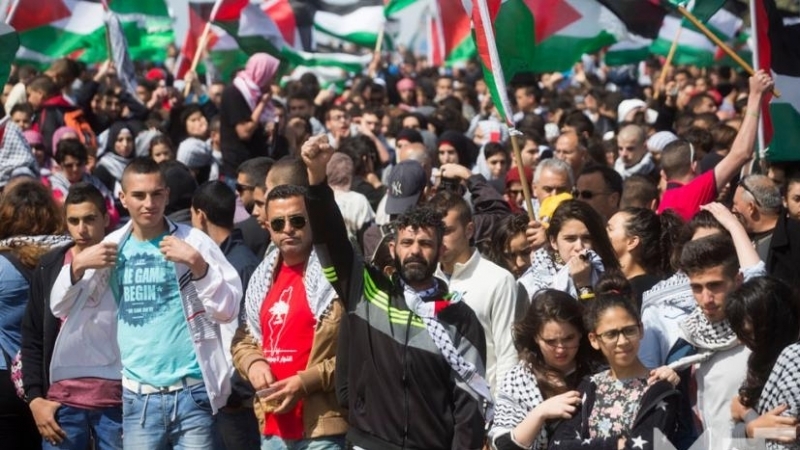 We must expose the way Zionist power has surreptitiously infiltrated and steered Western nations to the detriment of their own people as well as the people of Palestine and the rest of the Muslim world. To do this, we must violate (and ultimately annihilate) the taboo against acknowledging and criticizing Zionist power.